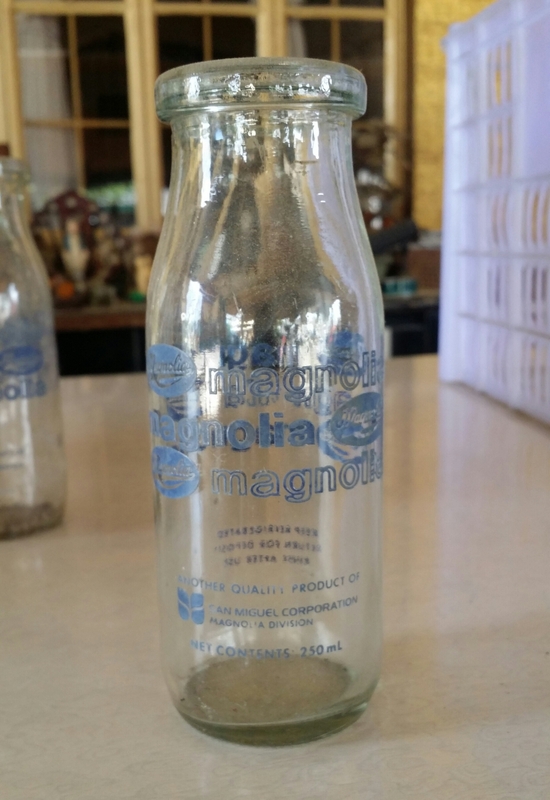 Magnolia Bottles or what was inside of it was a favorite drink of mine. I still remember as a kid growing up in the 80’s waking up early just to wait for the woman who delivers this wonderful drink at our doorstep. I remember that there were 3 flavors to choose from milk, melon, and chocolait or chocolate. The flavor that I always ask my mom to buy is melon and chocolait. Since I don’t like drinking milk. 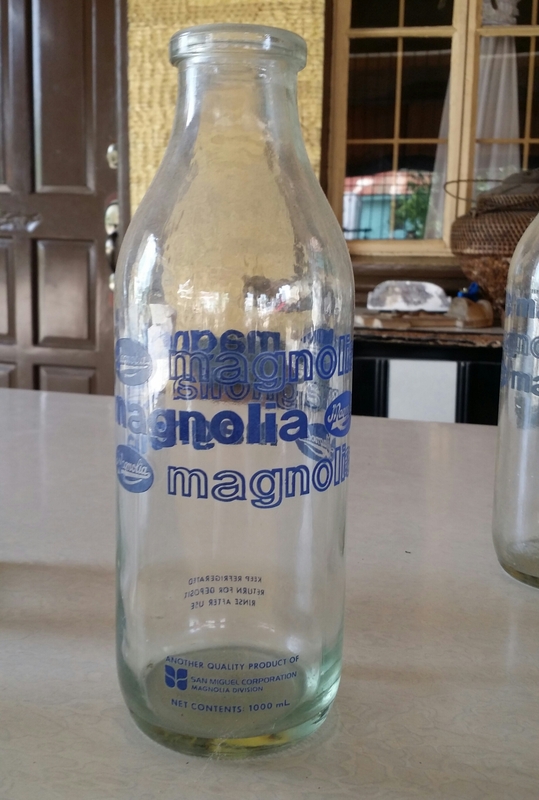 We always buy the large Magnolia Bottles to drink at home. And the small Magnolia Bottles to bring at school. 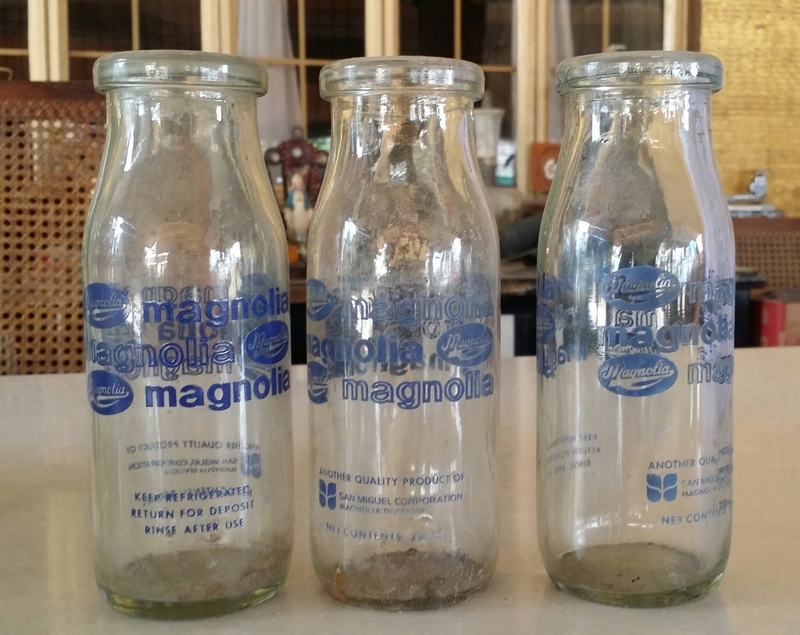 The Magnolia bottles came in different sizes. It had two shapes the round ones and the square ones. There were cleared colored bottles with blue or white print in it. And also an amber-colored one with white print. The biggest old bottle that I have which is round in shape can accommodate 1 liter of liquid. The small old bottle which is also round can accomodate 250 ml of liquid. I also have 2 square old bottles. The bigger one can accomodate 1 quart of liquid. While the smaller old bottle doesn’t have any print on how many liquid it can accomodate. 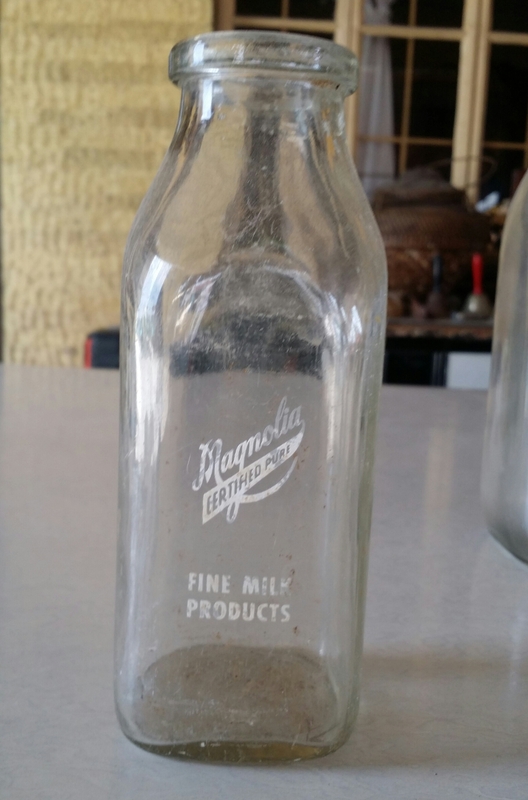 According to my mom the square Magnolia Bottles were much older than the round old bottles. 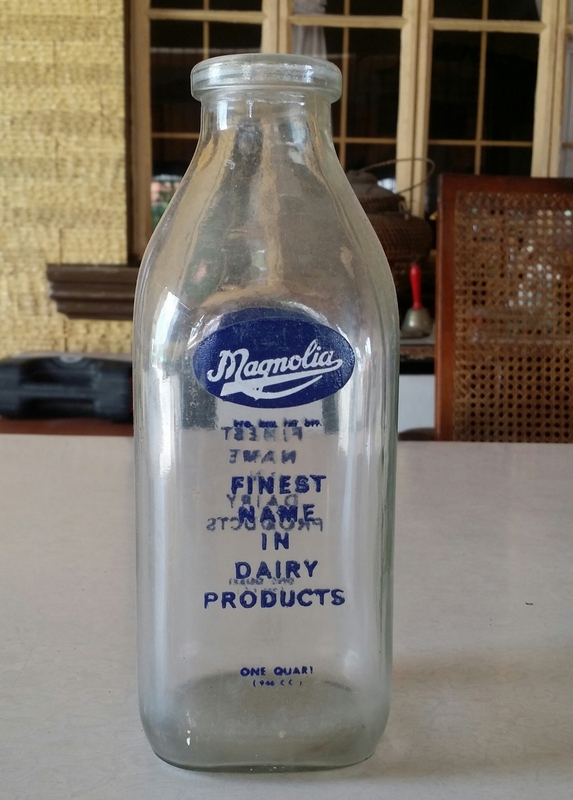 She remembers drinking the square Old Magnolia bottles in the 60’s up to the early part of the 70’s. During the late 70’s the round ones which I am familiar with was introduced. Also I think that choco-vim was the predecessor to Magnolia chocolait. Sadly I don’t have any choco-vim bottled to show you. Maybe in the future I will be able to get one of those bottles. 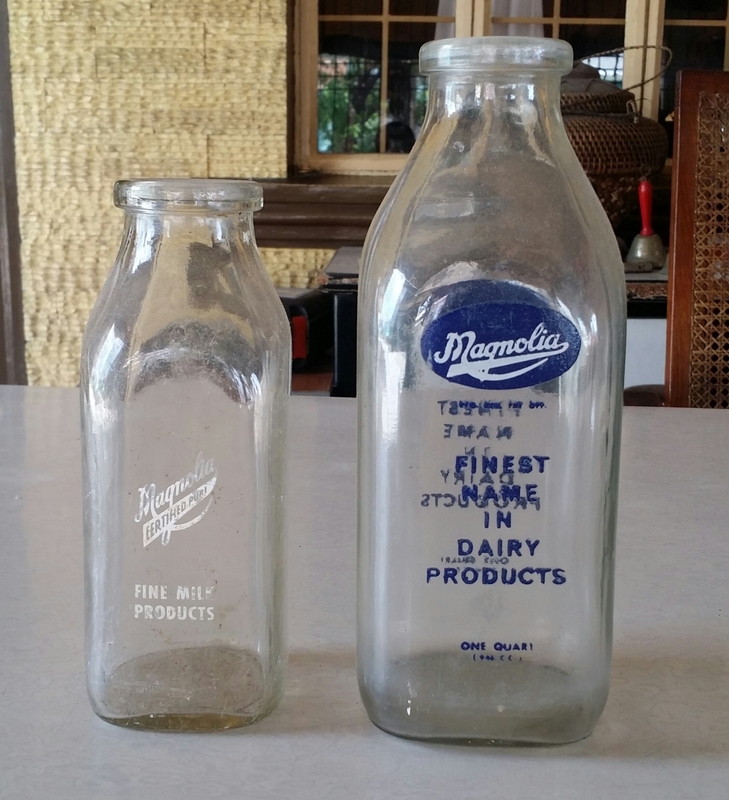 As the years go by I remember that the old glass bottles was replaced by plastics ones. And right now I can see that Magnolia uses tetra packs for their drinks instead of the glass bottles. 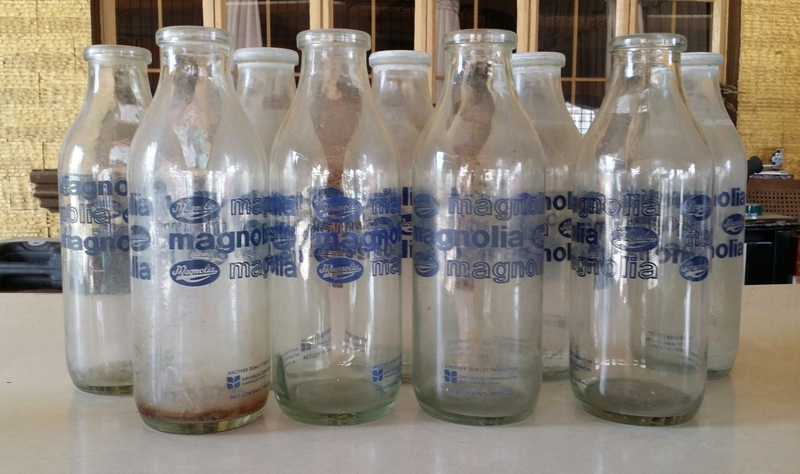 I was able to get these Magnolia Bottles from different sources. Some were sold to me by my workers (magbobote) and some were sold directly to my junkshop. Some of the bottles were very dirty and I asked one of my men to clean it with water and soap. 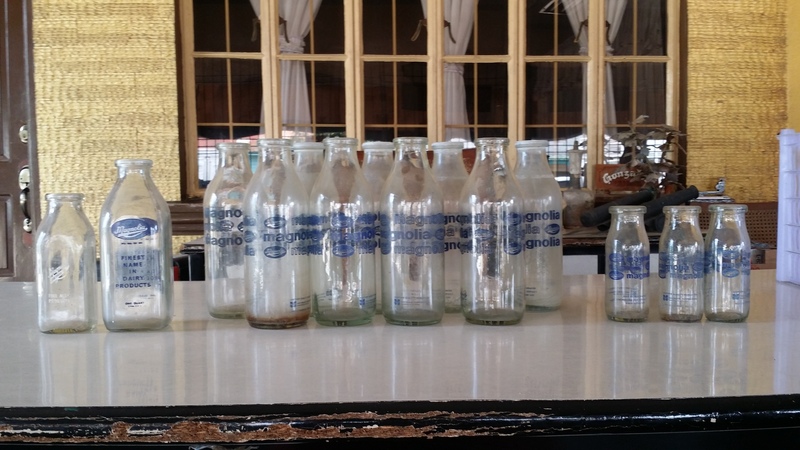 I remember that the 2 square old bottles was found in a dumpsite when one of my workers was looking for some scraps to be sold at my junkshop. I got the round Magnolia Bottles from different persons. Some said that they got it from a closed down sari sari store (mini mart.) And the others were found in a dig when a construction was being done.